The latest firmware is available from the Download page, and is compatible with the existing v1.0X and v1.1X Controller Boards. Seasonal Treats now covers the months of October and December. The Sprite Engine module has been enhanced to automatically move (translate) and apply special affects to an array of multiple sprites. 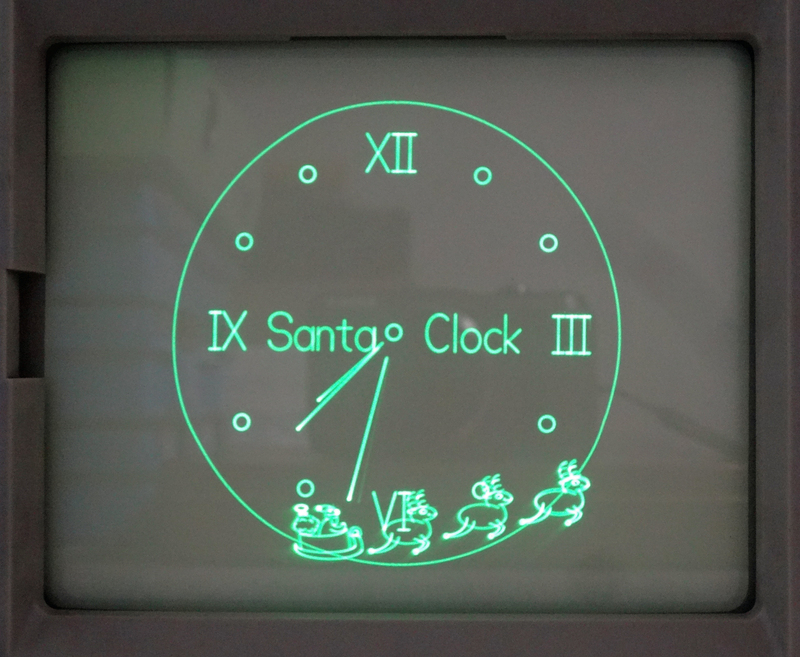 This entry was posted in Features, Software and Firmware and tagged assembly, Christmas, clock, CRT, games, Lissajous, PIC, reindeer, Santa, Scope Clock, sleigh, vector, オシロスコープ, ブラウン管 by Aaron. Bookmark the permalink.